How do you know that your agreement is crafted properly? There are a few clues that should give you the peace of mind for what happens in a variety of events. Here’s what should be included in a basic buy-sell. Your agreement should include a minimum list of events that can “activate” the trigger for remaining owners to purchase interests of a shareholder that’s departing. These include incapacity, bankruptcy, professional license loss, death, disability, retirement, and failure to carry out duties properly. Every agreement should also have explicit provisions for the payment of the departing owner’s interests. Some of the most common ways to do this include life insurance, cash from borrowings at the purchase date, a sinking fund, or an installment sale based on current business earnings. Speaking of payment, the agreement should outline how the price of the departing individual’s interest is calculated. Some of the most common methods for addressing this are book value, appraisal, replacement cost of any hard assets, an annual earnings multiple, or an annually agreed upon amount. Finally, think about family concerns, such as whether those individuals will have access to liquid resources to replace you, mechanisms for fair treatment of family in the event of your sudden death, or even plans for what will happen if your share will not be carried on by family members. 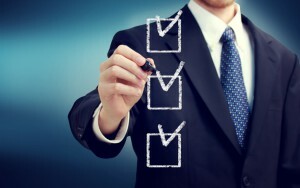 All of these considerations can be addressed in a comprehensive business succession plan. Begin today with an email to info@lawesq.net or contact us via phone at 732-521-9455.